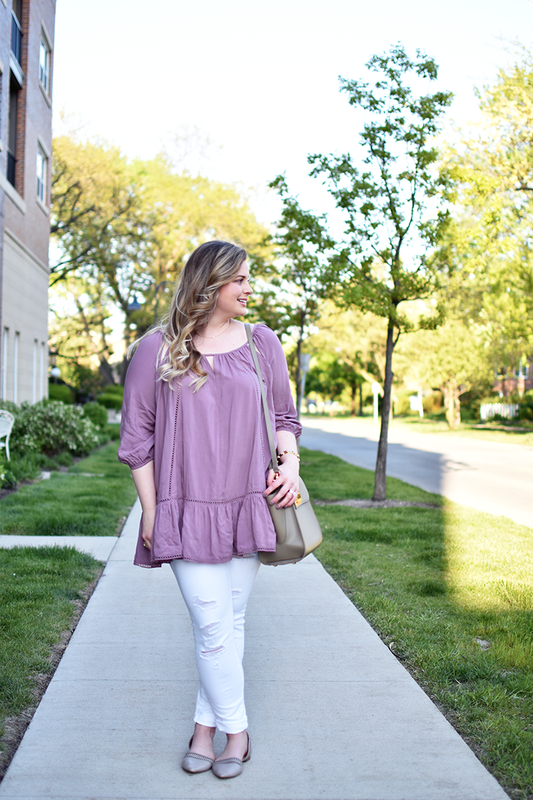 Tunics are hands down my favorite style of top. 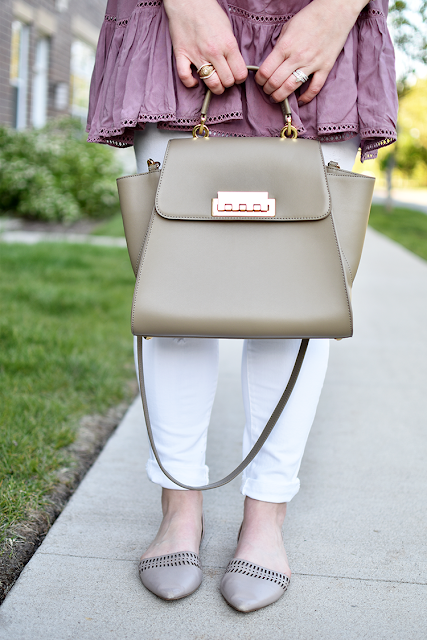 Don't tell all the other tops in my closet - I wouldn't want them to get jealous ;) I love the style so much because they're flowy, make any outfit look a little more romantic and just happen to be great for just about any body type! 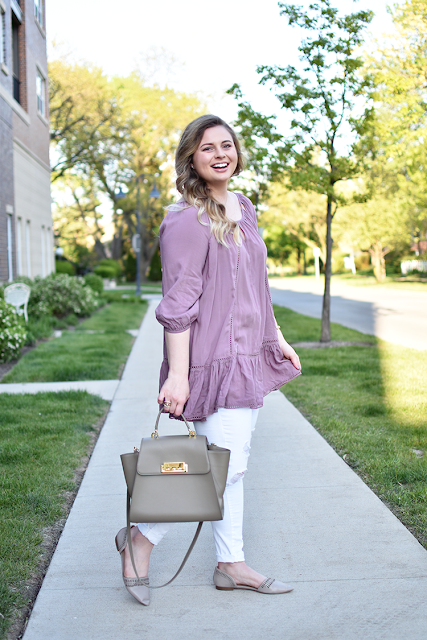 Mauve is such a pretty color for spring and the little lace trim and keyholes give this tunic that extra something. 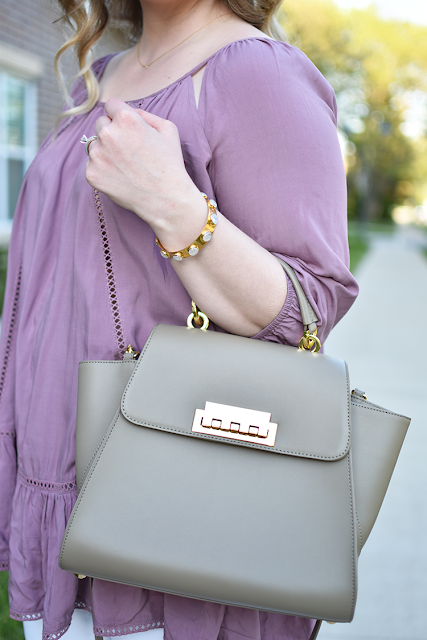 I paired it with my favorite pair of white jeans that are under $40 and kept the accessories neutral so the tunic could really be the star of the show! This particular tunic is from a local boutique, Parker James. They have a great website and are always adding new arrivals. If you're local to the Chicagoland area, they have two locations in Mokena and Frankfort, IL. They've been so sweet and are giving all my readers 20% off with code MrsOnTheMove! Later this week I'm off for one of my very best friend's bachelorette party and I couldn't be more excited! I'm stressing about (over)packing as usual, but can't wait to share with you where we're going and everything we do!